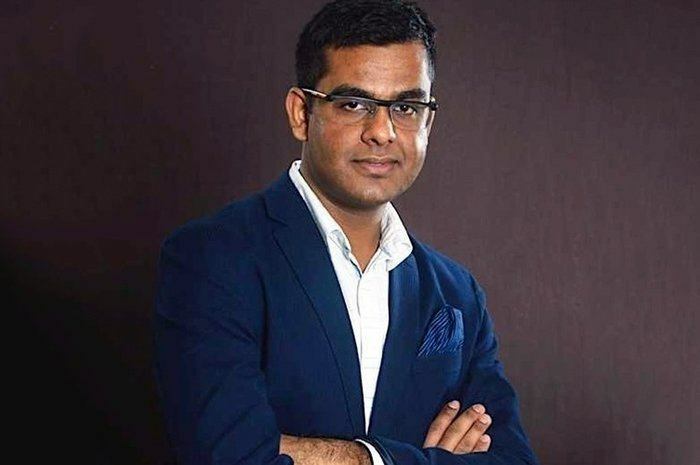 Agam Berry, a renowned thought leader in the digital marketing industry, has been an entrepreneur since before he graduated from Punjab University in 2010. He entered the digital marketing arena shortly after his graduation, leveraging an analytical approach to direct response advertising to help content creators monetize their unsold ad inventory. Today, he works as a marketing consultant who helps small and medium-sized companies streamline their marketing campaigns to achieve real growth. His latest ventures and hobbies include investing and educating himself on everything related to crypto-currencies and Bitcoin. With over 10 years of experience as an entrepreneur, Berry is uniquely qualified to help would-be entrepreneurs fulfill their dreams. No matter what type of business you plan to own, the tips below are sure to get you started on the road to success. Negotiation is a key skill for any entrepreneur not only because it is directly tied to how much money you can make, but also because it can help improve your critical thinking skills. This second point gives you the analytical approach required to face the tough challenges that owning your own business is sure to present. Negotiation often requires you to “think on your feet” and find ways to approach situations in which both parties are pleased with the outcome. Analyzing both sides that are brought to the table helps you become a better negotiator. The best way to master negotiation is through practice, and Berry advises trying it whenever the opportunity presents itself. In fact, Berry was quoted in a recent interview saying that he would advise his younger self to pay more attention to learning how to negotiate. The earlier you start, the better you can be! One of the most important things any entrepreneur can do is get their company’s name out there. Clients are likely to be interested in the value you can provide only if they know about the products and services you offer, right? Berry has had the most success with industry-specific meet-ups, conferences, and other gatherings where multiple businesses can come together and exchange ideas. A spot on the show floor helps immensely when you’re starting out, but it is enough to simply be in the area as you become more established. In fact, Berry met many of his current clients outside conferences he didn’t even have a ticket to! Invite potential clients and peers out for drinks or coffee after a long day at the conference. This is a great way to break the ice with them and have a one on one conversation with them. Be sure to mix the conversation between business and pleasure. No one wants to talk business all day and every day! Most of all, just be yourself and leave a lasting impression. While many entrepreneurs feel that nobody has ever faced the challenges they are going through, the truth is that you can learn a lot from the experiences of others. The advice found in business and self-help books is a great way to expand your knowledge base, including how to tackle specific problems facing your enterprise. Third Circle Theory by Pejman Ghadimi is a great first business book for entrepreneurs; and The Greatness Guide by Robin Sharma taught Berry principles to live by that he uses to this day. Berry also appreciates The 4-Hour Workweek by Timothy Ferriss for teaching him how to more efficiently handle his workload. Never be afraid to take a break and crack open a book. Audio Books are also a great way to pass the time, especially if you are a road warrior who travels frequently. Audible by Amazon is a great site to find the latest in audio books. They also offer a free trial for those who may be new to audio books; and are not sure if it’s something they will enjoy or utilize. Remember, mental health is just as important as physical health, so take time to nourish your mind through reading and expansion of your knowledge base. Many entrepreneurs get too easily distracted from their core competency and end up investing in multiple sectors poorly instead of in one really well. This is especially true in the digital marketing field. It’s very easy to get caught up in another business that you are trying to advertise. Try not to do too much. Your clients will notice when you take on too many tasks and are unable to effectively deliver upon your initial promise. You can always expand your initial business, but do it slowly and with purpose. Berry has not experienced this problem personally, but noticed it among many he was working with. Ironically, the best solution is to take a day off to rest and recharge your batteries. Berry finds that your best ideas often come while you are not actively searching for them. Even if you don’t have the finances to travel far and wide, take a “staycation” to relax and regroup. Your productivity is sure to soar when you return with a refreshed mindset. Sure it’s cliché, but Berry stumbled seven times before attaining the success he enjoys today. Failure should be treated as a learning experience, not the end of your entrepreneurial spirit. If you believe that no goal is unattainable, you will find success eventually. Believing in yourself also makes your clients believe in you. It’s okay to exude confidence and be proud of your work. If you believe you are doing the best job you can do, and putting forth your best effort each and every day; this will be reflected in your work and your clients will take notice. For more insights from Agam Berry, check out his Internet Marketing Journal (Agam-Berry.com) and follow him on social media platforms such as Twitter, Facebook, and LinkedIn. How many of Agam Berry’s success lessons can you relate to? Leave a comment below.